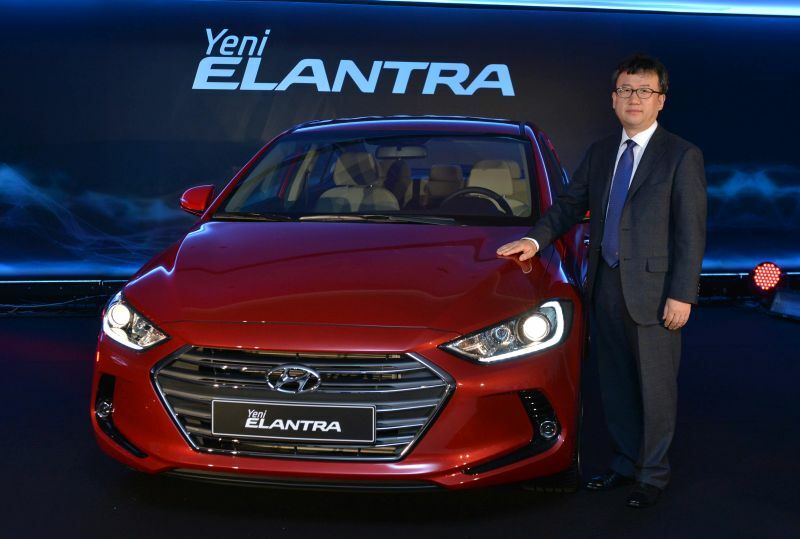 Hyundai CEO Mong Hyun Yoon began fasting in Ramadan because seeing the workers fast "left me in awe." 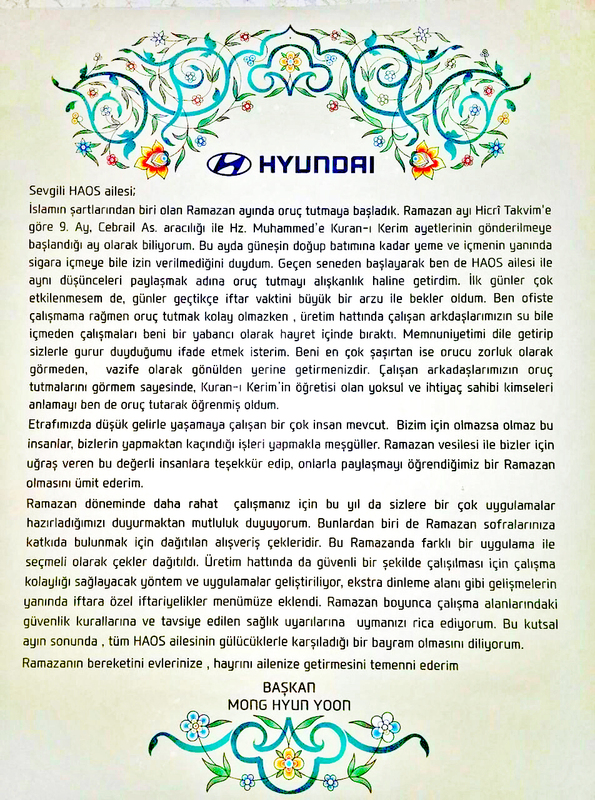 A touching letter sent out in which Yoon addressed those fasting during Ramadan said that he began fasting to be able to sympathize with Hyundai workers. But this isn’t a first for Yoon. He mentions that he also fasted the previous year to the surprise of the readers. “As of last year, to be one with the HAOS family in their thoughts and understand them, I decided to take fasting as a habit,” the CEO said in his letter. Seeing the difficulty of the fast among the workers without having food or drink “left me in awe,” Yoon said. What struck Yoon the most was that the workers didn’t see “fasting as a chore,” and how they showed a willingness to fulfil it as an obligation. He expressed his feelings even more in the letter and shared his own special ramadan lesson. From seeing my fasting colleagues I understood the Quranic subjects of the poor and the needy, especially with the experience of my own fasts. There are a lot of people around us who work on low incomes. These people do what they do because of us, they do the work we do not want to. With the blessings of Ramadan I hope we recognize these people and thank them and I hope it is a Ramadan where we learn to share with them. Workers are also provided with extra break areas and special menus for ramadan. The gesture came as a surprise to some who expressed their thoughts on twitter. 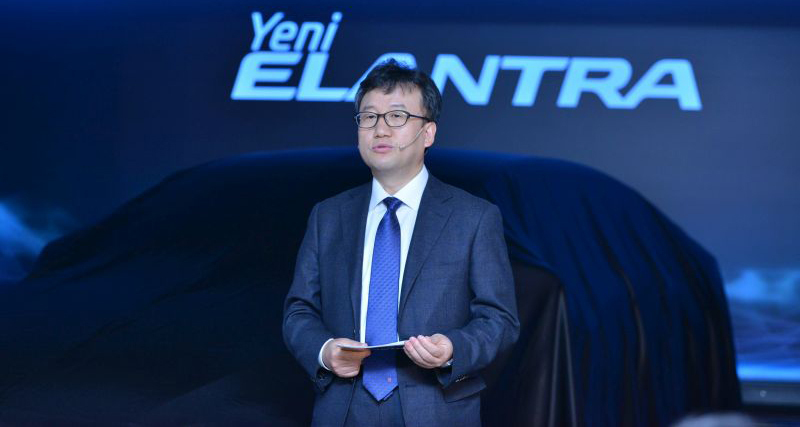 After he began to work in Turkey in 2016, Yoon also recited Turkey’s national anthem in Turkish during his first press conference last year. He’s definitely no stranger to gestures of respect. Isn’t this the kind of boss everyone deserves? We have started one of Islam’s 5 pillars, fasting in the month of Ramadhan. In the hijri calendar, Ramadhan is the 9th month. I know it as the month Gabriel aleyhi salaam (upon him be peace) started bringing the verses of the Quran to the Prophet Muhammad sallahu aleyhi wasalaam (peace and blessings of Allah be upon him). I heard in this month from sunrise to sunset, food and water including even cigarettes is forbidden. As of last year, to be one with the HAOS family in their thoughts and understand them, I decided to take fasting as a habit. Although I didn’t feel much in the first few days, as days went by I started really looking forward to the time of the opening of the fasting. Whilst I was in the office and seeing the difficulty of the fast (among staff), our assembly line was fasting without any water and as a foreigner this left me in awe. I wanted to express my joy and I’m proud of you. The thing that has shocked me the most is that you fast without seeing fasting as a chore and you show the willingness to fulfil it as an obligation. From seeing my fasting colleagues I understood the Quranic subjects of the poor and the needy, especially with the experience of my own fasts. There are a lot of people around us who work on low incomes. These people do what they do because of us, they do the work we do not want to. With the blessings of Ramadhan I hope we recognize these people and thank them and I hope it is a Ramadhan where we learn to share with them. . I am happy to announce that to make your work easier in this month of Ramadhan we are taking certain steps. One of these steps is the cheques being distributed to ensure we can aid you in your household shopping for iftar. Another step is distribution of selective cheques. On the assembly line to ensure the safety of the workers and their ease. Special developments are taking place such as designated extra break areas and menus for fasting food . I request you abide by the safety measures and the advice for those partaking in Ramadhan. I hope at the end of this holy month it is a festival in which all the family of HOAS celebrates with smiles. May Ramadhan bring blessings to your houses and goodness to your families. Subhanallah how Allah guides whom he will. May he be an example to our leaders in th the Muslim world. Although I have no doubt that we have many such Muslims within our community who go about doing charity works and support people in the community without wanting a return or recognition except from Allah swt…. Thank you sir for your gesture. May Allah (Subhanahu wa Taala) guide you to Islam, Ameen. May Allah reward you many blessing in your life. Thank you for being great leader. i almost cried,may Allah guide you to Islam on shaa Allah..
Oh that’s wonderful news.May we get closer to God so we can make yhe world a better place for our kids and future generations! GOD bless you! Fasting with prayer is an obligation. May Allah guide Mr Mong for his commitment and sincere appreciation. I hope he will do the same thing when he goes to work in a non Muslim country after his assignment in Turkey. Do the same in a non Muslim country on his next assignment??? Please enlighten us….what should he do? Observe Lent may be? Where drinking water is permitted…or give up chocolate for a week….hardly a fast is it….or have I got this wrong!!! Or are you just biased and bitter when it comes to good deeds towards Muslim’s? May Allah swt bless and guide you and also understanding what Islam is then you who you’re. You are a muslim, Mr Mong. You will be blessed by Almighty Allah hu tallah for your soft view and support of your staff’s. Your such sacrifices will carry with you forever even though after your death where as your properties left behind. May Allah bless you and your family Mr Mong Hun Yoon. May He guide you on the right path. This is a SHAME on arab leaders. They should learn the real teachings of Islam from you Mr Yoon. This is a beautiful example of how a mind free of preconceived notions and corrupt thoughts opens its doors to recognizing and appreciating Islamic values. It’s indeed a very effective step in showing those in power that education leads to loving people from the religion that promotes peace, not banning them. May Allah swt guide you to Islam, because that is d only way that u can harvest your good deeds & practice of Ramadhan. Allah said one who follows my commands who ever it is Muslim or non Muslim i will benefit them. SubhanAllah awesome person! Such empathy. Imagine the moral boost of the workforce. Zed, I believe Asad was addressing Mr. Mongs spirit of inclusiveness. If by chance Mr. Mongs next assignment be in, say Delhi, India, he would acknowledge the Hindu, the Sikh, the Christian, the Buddhist and the Muslim workers he will most likely be leading. I pray for you to see things in a better way. Much like Mr. Mong and Asad. MasyaAllah. May Allah bless & guide Mr Mong to always do the right things, in sha Allah. A lot of goodness still exist in this world. This is one example why this world keeps on going against all odds and evils we usually see and experience now a days. May God Bless you. May this goodness in people’s hearts and minds keeps on going. Aameen. What kind of last name do you have? Maybe you do Rob people of their merits. I guess your name tells a lot who you are. May Allah bless Mr Mong for his noble spirit and deed. It takes people with good heart and humility to understand and embrace such values. May Allah bless u with loads of health wealth and Happiness. HAOS flourish fruitfully across the globe. Ameen…. You are a noble soul. My bosses could learn from him! Essays like this are so important to brnoedniag people’s horizons. A great and sincere leader. May Allah guide you to another greater chapter in your life. Good experience for a leader. O Allah! Guide Mr Mong to learn and accept the teaching of Islam…and then accept to revert Islam as his religion. Semoga Allah memrikan berkah rahmat dan hidayah kepada anda. It’s a good sign and Allah has the power to soften his heart. If he did it for his employees then Allah knows it better. Wonderful initiative, humanity is all above!! Ma sha Allah. May Allah guide him to Islam. Indeed very good leadership qualities. Amazing.Thank you Mr Yoon.You have a compassionate heart. Allahuakbar. May Allah swt guide you towards Islam. It is a noble and examplary act of gesture. I remember a time when a Hyundai Korean worker embraces Islam just by observing Moslem prays Subuh and likes the azan a lot. He was observing us on daily basis when he went to work and finally make a decision to know more. Language was not barrier once Allah swt opens the heart. Subhanallah.